Can You Freeze Swiss Cheese? While it's true that fresh cheese is always best, Swiss cheese (American Swiss, Emmental, Gruyére) can absolutely be frozen and still taste good. Because it is a semi-hard cheese, like cheddar, Swiss holds up better in the freezer than softer cheeses, like Brie. That said, almost all cheeses become more crumbly after they have been thawed. So, while your frozen Swiss may not be ideal for a cheese platter or sandwich, it should do quite well in a sauce or prepared dish, such as chicken cordon bleu casserole or three-cheese penne pasta. Frozen blocks of Swiss tend to hold up the best and should be no less than half a pound each. You may want to remember this when purchasing your cheese if you plan to freeze it, as it's ideal to leave blocks in their original packaging (which is usually airtight). If yours is already open, a vacuum sealer is the best way to go. Food exposed to air oxidizes, causing the flavors and texture to break down, otherwise known as "freezer burn." These devices help remove air that is sure to remain if you re-package the cheese yourself. If you don't have a vacuum sealer, careful wrapping of the cheese can help you get the best result. Cover the Swiss cheese tightly in plastic wrap or aluminum foil, then place it in a freezer-safe, plastic zipper-top bag that you squeeze all of the air out of. 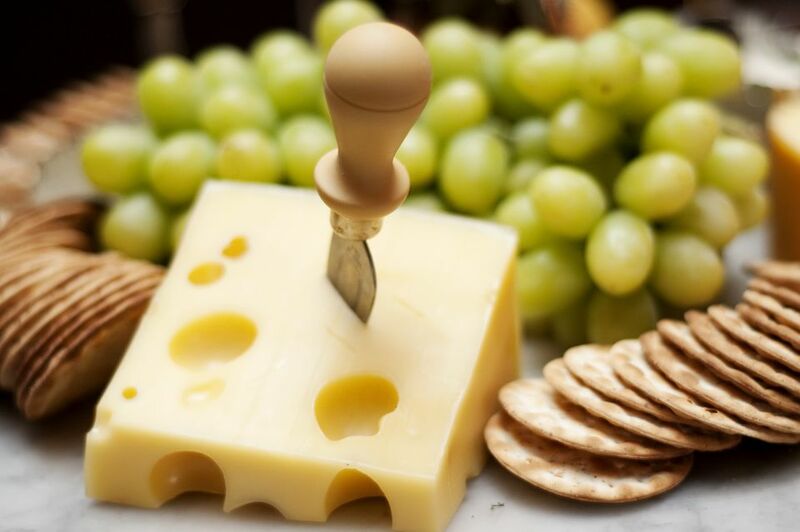 Ensure that no moisture has made its way in; it can cause ice crystals that affect the cheese. Though harder to wrap up properly, shredded, grated and sliced Swiss can also be frozen. Use clear wrap and/or a zipper-seal bag, or a vacuum-sealed, freezer-friendly container to store it. A rolling pin is a great way to push the air out of a bag containing grated cheese. Use the cheese within six months. Frozen Swiss should be defrosted in the refrigerator and, once thawed, used quickly. Again, you may get a desirable product if you attempt to slice and serve it solo, but frozen Swiss is typically better used melted and/or incorporated into dishes.